A couple months ago, I came across a great article in Colorado’s Summit County Citizens Voice about the concept of the “Hausberg:” the German word for “home mountain.” Take a few minutes and read it. The writer, Bob Berwyn, does a fantastic job defining what a home mountain is and conveying its importance to a town, whatever or wherever it may be. It reminded me of the dozens of Hausbergs I’ve seen in the Alps — some big, some small, but all located in close proximity to the middle of the village and closely integrated into the fabric of life there. Maybe that’s why Snow King in Jackson, Wyoming has always appealed to me. 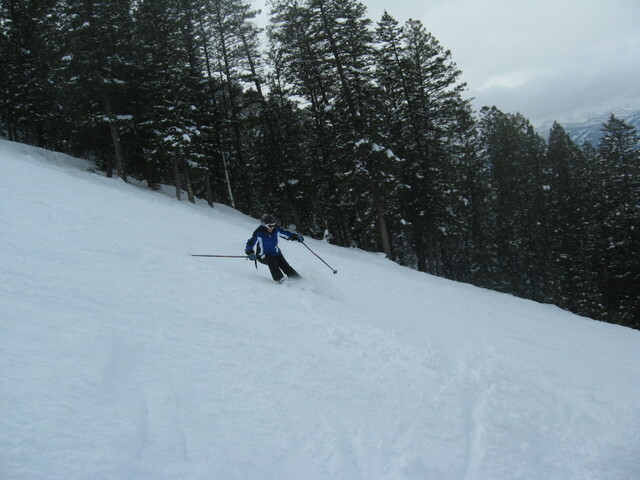 Since its founding in 1939 as the first ski area in Wyoming, Snow King has always served as Jackson’s town hill. As you drive in from the airport, Snow King rises 1,570 vertical feet from the valley floor, barely a five-minute walk from the town square of this classic western village. Generations of residents have learned to ski there. It’s a real part of the community, where parents can drop off their kids for a few hours after school, and adults can squeeze in some turns during their lunch break. Adding to the hometown feel, there’s a small playground right next to the main lifts, a skating rink, a tubing area, a ballfield, and, go figure, an active cemetery: the only one located within the boundaries of a working ski mountain in the United States. Snow King hosts two of Jackson’s annual winter events: the Town Downhill race and the Snowmobile Hill Climb, now entering its 36th year. What’s more, as I witnessed a few days ago, Snow King is one of a limited number of mountains in the country that allows skiers to travel uphill while lifts are running. 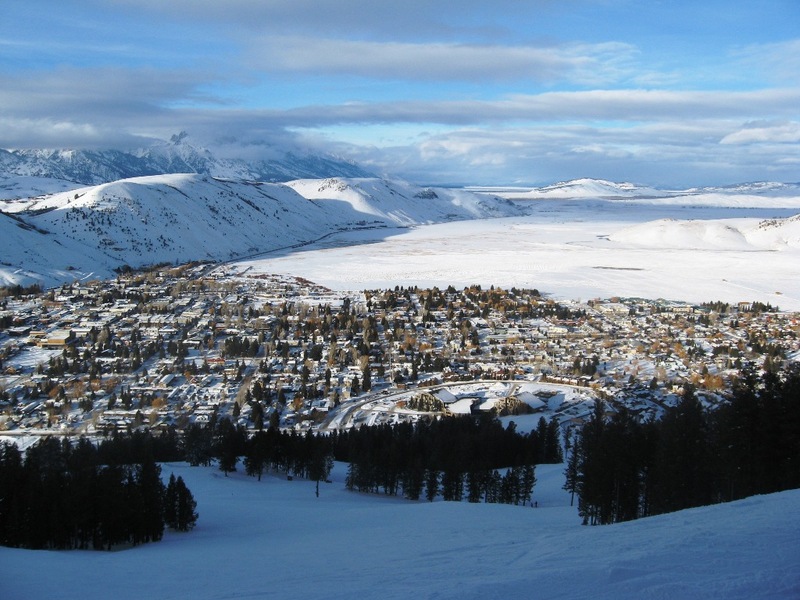 Of course, the reason everyone comes here during the winter months is to ski Jackson Hole Mountain Resort about 20 minutes away. Jackson Hole gets (and rightly deserves) all of the ski magazine accolades, the feature articles from high-profile newspapers, and the visits from Warren Miller film crews. It was designed to become a tourism magnet that attracts people from all over the world, and over the last 40 years, that’s exactly what it’s become. 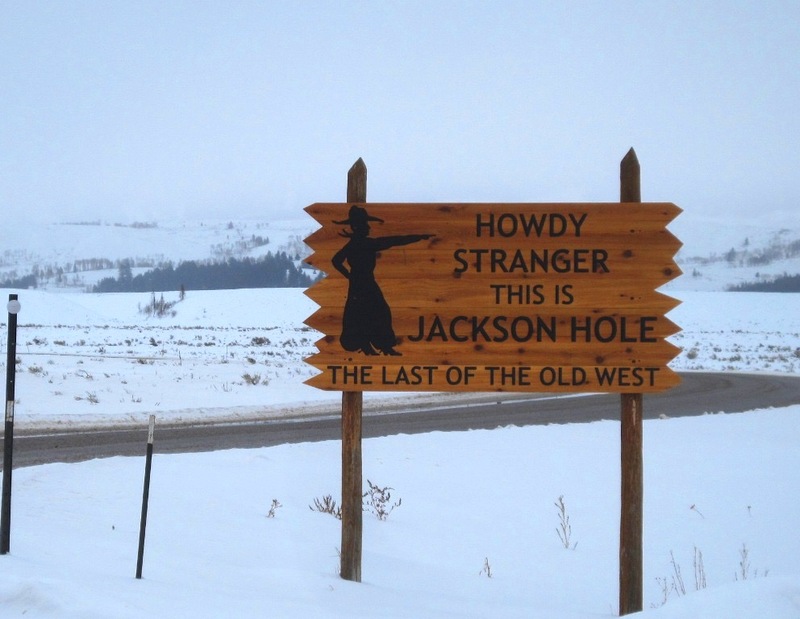 You go to Jackson Hole so you can tell people back home about the incredible terrain, the deep powder, the big vertical, and the extensive backcountry options. 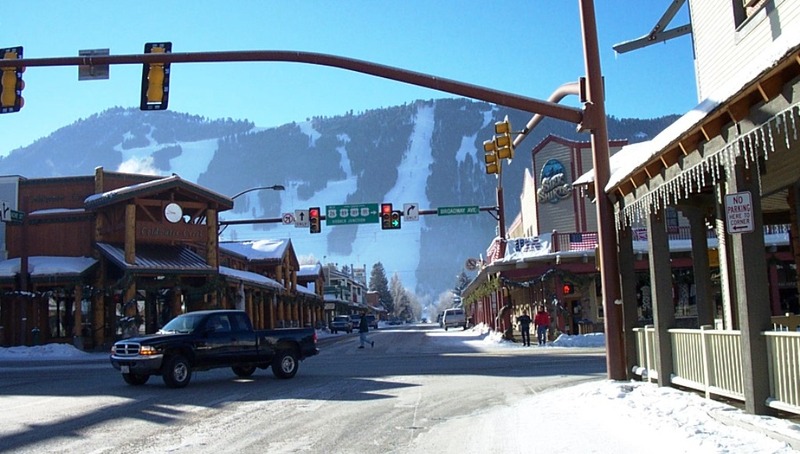 Even bustling Teton Village at the base of the mountain has become an attraction onto itself. Those very characteristics are what makes Snow King such an interesting yin to Jackson Hole’s yang — there’s something very unique about skiing a hill that has such a strong presence within a community, both physically and psychologically. Jackson was a real place before the skiing industry arrived, and cozy, low-key Snow King is directly connected to it. However, just because it’s the town hill doesn’t mean that Snow King is low challenge. On the lower two-thirds of the mountain, covered by snowmaking and equipped with lights for night skiing, there is a nice selection of beginner and intermediate terrain lined by just enough trees to make it interesting. 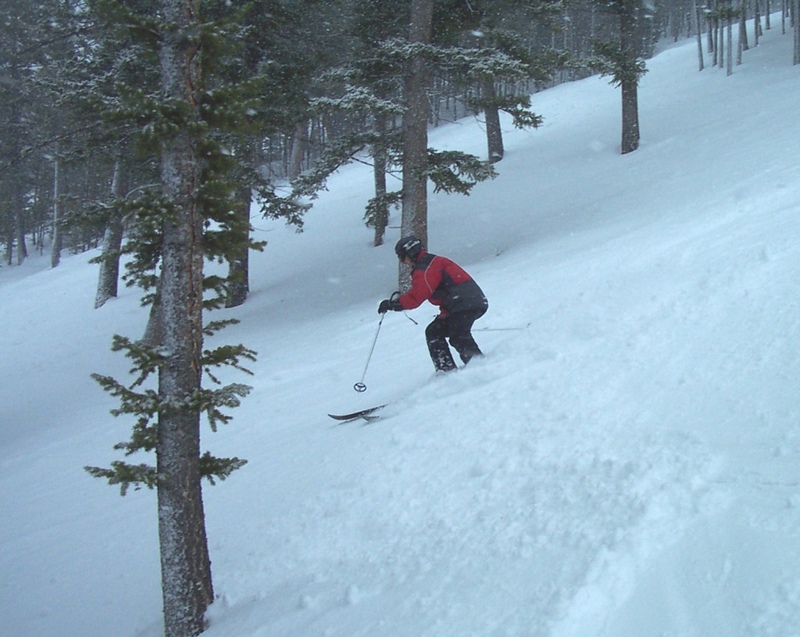 But take the summit chair to the top of the mountain and across the upper third of the hill and you’ll find a series of legitimate black-diamond trails, short but well pitched, with the terrain becoming progressively steeper to the skier’s left. I’m not sure if the biggest positive for Snow King is the great view of the village, the deserted trails and lifts, or the fact that you can park literally steps away from the lifts. In any case, after a couple days at Jackson Hole, you’ll find the complete lack of a scene at Snow King to be refreshing. 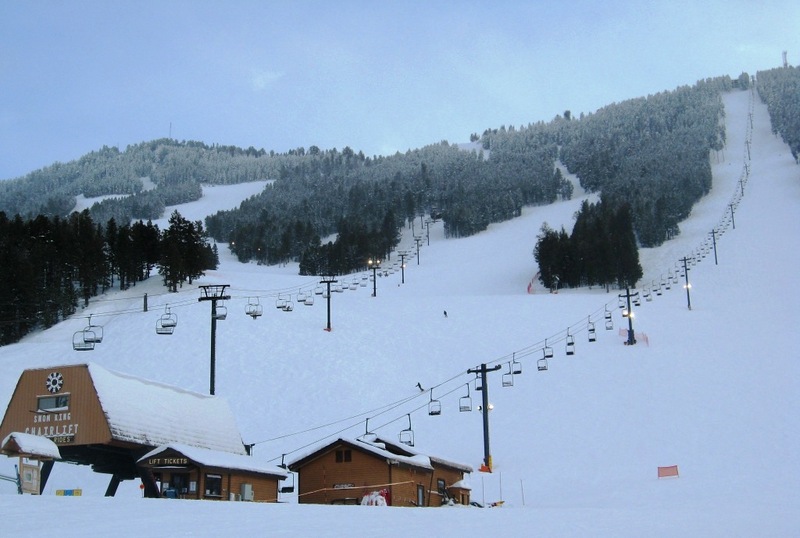 Finally, Snow King provides both local and visiting skiers with reasonably-priced options to ski there, including all-day tickets (from 10 am to 8 pm) for $42, three-hour lift tickets for $30, and the only night skiing in the area for $20. The resort also offers visitors a “Ski All Three” package that includes accommodations at Snow King (choose from the recently renovated hotel, luxury condos, and Deer Valley-level lodges at Love Ridge), lift tickets at Jackson Hole, Grand Targhee or Snow King, big buffet breakfasts every morning, transportation to and from all ski areas, and round-trip airport transfers. So that’s the way I get to have my cake and eat it too during winter visits to Jackson — dividing my time between a world-renowned ski resort across town and Snow King: an authentic American Hausberg right in the middle of town. November 2011 Update: Snow King gets a feature article in the New York Times. The King is a great community mountain and lots of fun. I lived in Jackson for 9 years and was a regular Snow King skier. For the price of a day pass and lunch at the Village I could buy an unlimited season pass at Snow King. Before having kids I would ski at Snow King almost every day after work, and after having kids I could squeeze in a few turns during nap time, or just about any time. Skiing in the backcountry or at the Village usually required me to free up a whole day, while Snow King only needed a couple of hours (or more if I could). Snow King was my haven. I live in Laramie, WY now and besides the people I miss Snow King more than anything else in Jackson.